Subaru Boosted The Price Of The 2018 WRX And WRX STI By How Much? And what do you get for the extra dough? For 2018, Subaru gave its rally-inspired dynamic duo, the WRX and WRX STI, a minor mid-life update to keep things fresh for the time being. Fortunately, those updates don’t result in any major price increases. Subaru USA has just announced official pricing for both the 2018 WRX and WRX STI, and the breakdown is this: The 2018 WRX begins at $27,855, including destination. That’s only a $340 price increase from 2017. 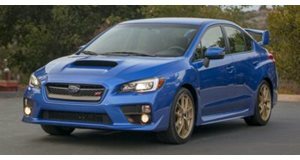 The 2018 WRX STI carries a starting price of $36,955, which is $940 more than last year. So, for the extra $340 and $940 for the two cars, respectively, how do buyers benefit? Styling wise, both AWD fun boxes feature restyled front fascias with a more angular look, and a larger lower grille opening. Inside, there are upgraded materials, a rear seat armrest with cup holders, and redesigned interior door grips. 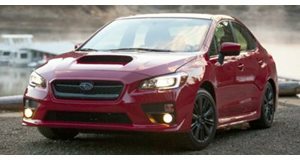 For the WRX alone, it comes with new front and rear suspension tuning for improved steering stability and ride comfort, essentially making it a better daily driver while retaining its high cornering performance capability. We also like how Subaru enhanced the feel of the standard six-speed manual’s shifter, with a new synchro design and reduced friction. Engineers also reduced wind noise with thicker door glass. The WRX Premium also receives the Subaru Starlink 7.0-inch multimedia audio unit instead of the previous 6.2-inch unit, as well as new 18-inch alloy wheels, 8-way power Recaro driver’s seat, and red-painted front and rear brake calipers. The top-end WRX Limited has a Harmon Kardon audio system and optional EyeSight driver assist. As for the 2018 WRX STI, the most significant improvements are the same revised suspension tuning as in the WRX, along with upgraded brakes and, for the first time ever, 19-inch wheels with yellow-painted brake calipers. Despite the all-new Impreza now on sale, the previous-gen Impreza-based WRX and WRX STI will be around until 2020 or so, but these updates will keep things going strong.